Great Night of Mystery/Thriller Reading! I picked all these up from the library. 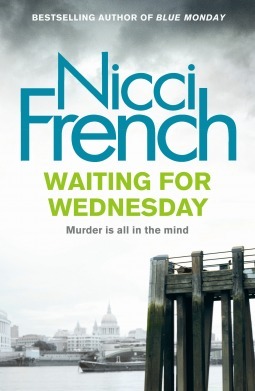 The Nicci French, Waiting for Wednesday, I had read a review for and it sounded interesting so it was an impulse selection. Loved the character of Frieda and her relationships with Karlsson, Josef, Reuben and others. The author attempted to fill in back story as the book went along, but I do feel that I missed something by not reading the previous books in the series. Perhaps it is the missing background, but I didn’t really find the comment that sent Frieda off in search of a serial killer plausible. However, I still enjoyed the mystery and the characters. This was a fast paced read, that kept me turning the pages. The Body in the Belfry is the first in the Faith Fairchild series. I have read one other, number 4 out of order, and decided to go back to this one. This is a series that surprised me in that I am not religious and I usually do not like religious themed books at all. In this series, Faith is a minister’s wife, and yet the books manage to not be preachy or full of morality lessons, etc. I liked the mystery and the characters, Faith and her husband Tom manage to be fully fleshed out characters, not defined by their faith. I did find the ending a little odd in the resolution. but it was still okay. The book is a product of its time, written in 1990 and may feel a little dated, especially to younger readers, who didn’t live through it. 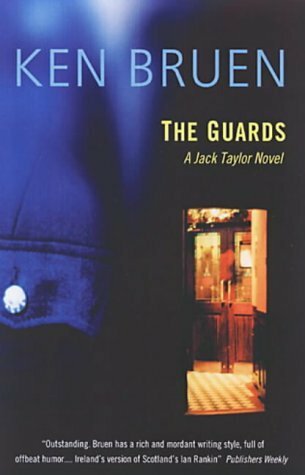 I selected The Guards after watching the Jack Taylor series on Acorn TV. I really enjoyed the tv show and wanted to see what the books were all about. The novel was very well done, it captured the ravages of Jack’s alcoholism, his introspection, his relationship with his mother and the few he counts as friends. The mystery is almost a side story with the focus really being on Jack, what happens to him and because of him and his actions. Violent scenes with starkly written prose set the scene for Jack Taylor’s world. Dialogue carries the story and Ken Bruen certainly has a unique voice. The quotes and turns of phrase that open each section are meaningful and add to the text. This is a technique that for me at least, often falls flat in some novels, however it works very well here.